The keys to feeling your best on a high-elevation ski vacation? Hydrate, less alcohol, taking it easy the first day, and sunscreen. HIGH ELEVATION. IT’S everywhere in Jackson Hole, even when you’re sitting on the valley floor, which at its lowest point is more than 6,000 feet above sea level. Taking the tram at the Jackson Hole Mountain Resort? Just relaxing inside Corbet’s Cabin at the 10,450-foot summit of Rendezvous Mountain with a hot waffle can be a difficult endeavor if you’re not prepared. But, unlike prepping your quads for a ski vacation, vacationing at elevation doesn’t have to be difficult. WATER, WATER, AND more water. The higher you go, the drier the air. According to the Wilderness Medical Society, at high elevations, you lose water through respiration twice as quickly as you do at sea level. Just breathing can dehydrate you at our elevation. How can you tell if you’re dehydrated? Mild dehydration brings a decrease in energy and a feeling of lethargy. From there, you can get dizzy and then things can really go downhill. To combat dehydration, drink. The Institute of Medicine determined that an adequate intake for men is roughly about 13 cups (3 liters) of total beverages a day. (Sadly, beverages like PBR and coffee are not ideal.) It is recommended women drink about 9 cups (2.2 liters) of total beverages a day. These recommendations are for people at sea level. At elevation, according to the Telluride, Colorado-based Institute for Altitude Medicine, plan to drink an extra 1 to 1.5 liters of water daily. You’ll know you’re drinking enough when your urine is clear. MY FIRST WEEK at 6,000 feet—I came here straight from Pittsburgh—I headed to a local brewpub with my new coworkers. I ordered a beautiful pint of a house brew and eagerly drank in my new surroundings. I ordered another pint and halfway through turned to my new friends. Touching my cheeks, which seemed to have numbed, I said, “I think I’m getting drunk.” They reminded me, “You are at 6,000 feet. Less oxygen means you get drunk. Fast.” While there is research debunking the long-held notion that the lower oxygen levels at high elevations impair a body’s ability to metabolize alcohol, leading to quicker absorption and enhanced intoxication, I, and most locals, still believe it. And I bet you’d rather be safe than sorry. So I say to you, “pace yourself.” What you can drink in the lowlands does not equate to the highlands. Start with a single rather than double, pale ale rather than stout, and sip, don’t gulp. When living at sea level, rarely did I worry about sunburn. In the middle of a Pittsburgh winter, I don’t think sunburn ever crossed my mind. Up here, it’s a different story, though. Jackson Hole sun hits your skin harder and faster than it would if you were sipping cocktails on Coco Beach; it’s entirely possible for you to get burnt in as little as an hour! In general, the sun’s intensity increases at a rate of 6 percent per 1,000 feet above sea level for the same latitude. For example, at 5,000 feet the sun is 30 percent stronger than at sea level. At 10,000 feet—the top of the tram—the sun’s intensity is 60 percent greater than sea-level sun. And that’s not all. UV rays reflected into your eyes by the bright snow can cause snow blindness. This affliction might be overnamed—only in the most extreme cases does it cause blindness—but it is not to be taken lightly. Symptoms include bloodshot eyes, increased tearing or watering of the eyes, eyelid twitching, and eye pain. Have you ever gotten sand or grit in an eye? Snow blindness can feel like that. In the most serious cases, eyes can swell shut, and there can be a temporary loss of vision. Snow blindness occurs when your corneas are exposed—either without protection or with inadequate protection—to UV rays. Of course we don’t recommend staying inside on sunny days. Just make goggles or sunglasses, sunscreen, and, when you’re not on the slopes, a wide-brim hat the rule. As silly as it sounds, on supersunny days you’re out on the snow, put sunscreen under your nose and inside your nostrils, too. Nose sunburn doesn’t feel awesome. WHEN FRIENDS COME to visit, I’ve found it typically takes two days for them to get their “mountain legs” under them. Translation: relax and settle in before strapping on your skis, especially cross-country ones. Hitting the groomed Nordic paths on your first day here, trying to maintain a pace that was comfortable back home at 800 feet, is a recipe for disaster. Because of less oxygen available to working muscles, exercise performance is decreased at high elevation. It’s impossible to run a mile at high elevation as fast as at low elevation. Give it time, though, and your body can mostly adjust to the lower oxygen levels. You just have to be patient and let it. My brother is a strong, (handsome) man—sorry ladies, he’s recently married. When he came to visit several summers ago, he was set on conquering great heights. Literally. We were going to climb the 13,775-foot Grand Teton. But before we did the Grand, we started with Snow King Mountain, 7,808 feet tall. Then we graduated to Taylor Mountain on Teton Pass (10,352 feet). Next was Table Mountain (11,106 feet). Only after Table did we bag the Grand. It usually takes sea-level bodies a day or two to adjust to an elevation of 6,000-some feet. If you are anxious to get moving as soon as you arrive, you certainly can, just know you might feel sluggish. Avoiding alcohol can help you acclimatize faster (and also decrease the likelihood of my next topic, acute mountain sickness). Acute mountain sickness can afflict anyone visiting elevations higher than 6,000 feet. It usually strikes in the first twenty-four hours. A headache is typically the first symptom. TUCKED INTO THE remote Lost River Range in central Idaho, Borah Peak is Idaho’s highest mountain. It is beautiful, exposed, and straight up—some 12,000 feet straight up with no switchbacks. Having tackled some of the Tetons’ more popular summits, I headed to Borah Peak full of the arrogance that comes from living in the mountains. The night before I ate a salty, high-carb meal of instant mac and cheese. I followed this with a few Miller Lites. The next morning, I started my ascent. I climbed. And climbed. I climbed above the clouds. It was just as I was cresting the summit that I got a pounding headache near my brain stem. Then came a seasick-like nausea. I signed the summit ledger and quickly began descending. Halfway down the mountain, I started feeling better. Back at the trailhead I was still weak, but the headache was gone. What happened? AMS is real and can strike even those who climb mountains regularly. With my body slightly dehydrated from the previous night’s dinner (and beers) and a quick gain in elevation, it struck me. AMS can afflict anyone visiting elevations higher than 6,000 feet. 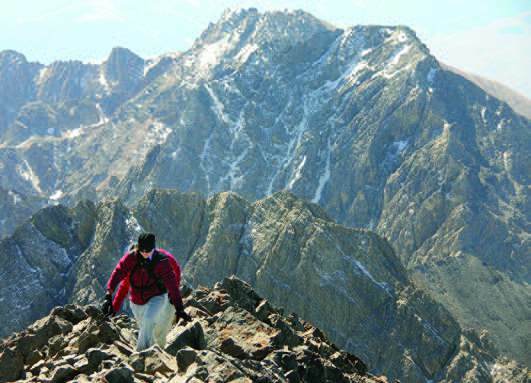 The Institute for Altitude Medicine has conducted significant AMS studies. 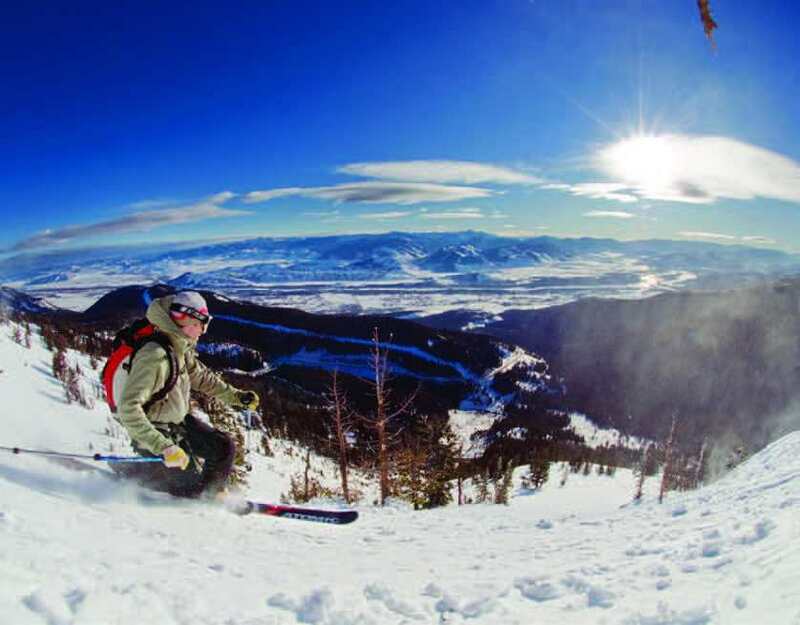 One study revealed that between 15 and 40 percent of visitors to Colorado ski resorts get AMS. There have not been any AMS studies in Jackson Hole, but it’s not unreasonable to extrapolate our stats would be similar (although slightly less, since the base of Jackson Hole Mountain Resort is 6,000-some feet instead of 8,000-some feet like many Colorado resorts). Most folks visiting Colorado’s resorts and ours travel to them in one day and come from a low elevation. Skiers visiting Colorado lowered their chances of AMS by taking it easy their first day and night. The most usual first sign of AMS is a headache. This is typically followed by symptoms, such as loss of appetite, sometimes vomiting, weakness, dizziness, fatigue, and difficulty sleeping. In short, AMS feels exactly like a bad hangover. Symptoms can occur as early as two hours after arrival, or be delayed for twenty-four hours or so. If you haven’t developed any symptoms of AMS within twenty-four (or so) hours of arrival, chances are you’re safe. You can increase your chances of not getting AMS by doing several things: 1) Make your first day a rest day. 2) Stay hydrated. 3) It pains me to advise this, but avoid alcohol, since it suppresses breathing and results in lower blood oxygen. 4) Some studies have shown that Ginkgo biloba was effective in preventing AMS when started five days prior to ascending to elevation, at a dose of 100mg twice a day. This last bit of advice might be too late for your present trip, but keep it in mind for when you come back. Elevation doesn’t just affect our bodies but also our baked goods. My mother was slow-foods before slow-foods were cool. Farm to table? Yeah, that was us, but more like garden to table. Everything came from the dirt in the backyard in the summer, and then from canning jars in the winter. Cooking and baking outside of the box were not only normal, but also a matter of pride. At elevation, however, there is a certain finesse to getting the brownies just right, and unfortunately, there is no magic mix that will convert a recipe from sea level to elevation every time. When baking here, know that “higher means dryer.” For a quick fix, I tend to add just a little more moisture to a mix than the recipe may call for. Also, if a recipe says to bake for 30 minutes, check at 20 minutes.